Very few people in your life truly understand the unique challenges and potential of running a small to mid-sized marketing agency. If you’ve got a partner or two — you can kick ideas back and forth, but you’re all inside the same bottle. And just like we tell our clients — you can’t objectively see or describe the outside of the bottle from inside. 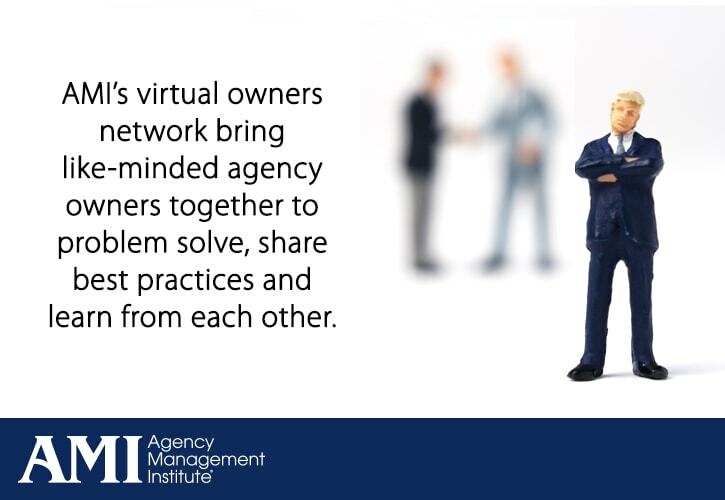 This is why our agency owner peer networks are the corner stone of AMI. By joining a network you get the best of both worlds. You get that outside perspective you really need but from someone who walks in your shoes every day. Each network has a mix of advertising agencies, PR firms, marketing shops, digital marketing, and design firms with the desire and drive to grow their business to the next level. Only one company from any specific geographic market is admitted to a network. This allows for you to collaborate with people outside your bottle – to gain new perspectives and share ideas with other driven and passionate agency owners. The network is truly a safe and open harbor where valuable business connections and lifelong friendships develop. Each network meets in person twice a year (for 2 full days) and stays in touch throughout the year. Throughout this time they share resources, partner on business, seek counsel and enjoy each other’s support, and when needed, a kick in the pants. Your network becomes your advisory team, sounding board, and among your closest friends. At the in person meetings (one in the fall and one in the spring) you will learn from each other’s experiences, challenges and victories. We also share best practices in new business development, financial and marketing strategies, systems development, as well as organizational and staffing strategies. The groups often invite a speaker to join them for a part of a day for some on-going professional development that is specific to running an agency. One of the most insightful aspects of each meeting is that every agency shares their financials with the group. Each person in your network has had their own financial trials and successes, and it’s amazing what you can learn when each person shares their story. Your peers contribute valuable information and strategies that you can utilize in growing your business and maximizing your potential. 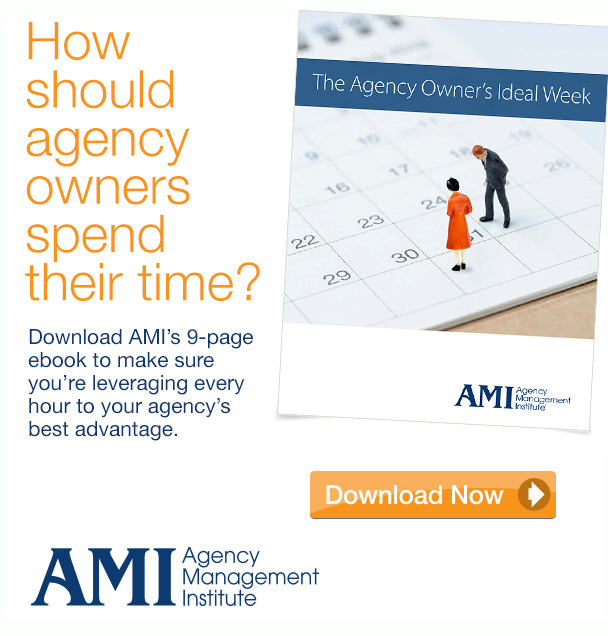 I know how tough agency ownership is because I’m still walking that path right next to you with my own agency. But along with running MMG for the past 20 years, I also work with over 200 small to mid-sized agency owners every year, helping them improve their businesses and as a result – the life that business affords them. Every meeting is organized and facilitated by us, so you can concentrate on gleaning as much as you can out of every conversation, sample and story. Not only will you reap the benefits of the meetings themselves, but you will also become an AMI Accredited Agency, demonstrating your commitment to continued investment in your own betterment for your clients’ ultimate benefit.